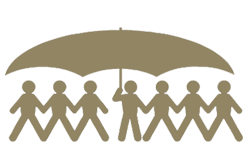 Group Mediclaim / GMC - Corporate Risks India Insurance Brokers Pvt. Ltd. Employers across the world have been protecting the well-being of its employees by providing them Mediclaim. These policies are also used as baits to attract & retain top employees. This plan falls under Employee Benefits policies. Group Mediclaim is a tailor-made Health Insurance plan that provides some very good add-on Health insurance benefits to its users than what are normally given in a standalone Health Insurance policy. An employer has the choice of covering its employees & their dependents e.g. spouse, kids, parents, & parents’ in-law in this policy. A Group Mediclaim policy has many enhanced benefits which are not available in other Health Insurance Policies. Since Group Mediclaim is a tailored group health insurance solution hence it can be customized to suit the actual need of a corporate client. Following is the list of benefits that a company can opt for in Group Mediclaim. Family cover – Employees and their dependents including parents in-law can be covered in a single health plan. Cashless Hospitalization cover – Insurance Company will directly settle claim with hospital thus reducing burden on the employee to pay for it. Medical Expenses borne directly by client are reimbursed by insurance company. Pre & Post Hospitalization cover up to 60 & 90 days respectively. Day-care procedures cover – Treatments which don’t require 24hr hospitalization can also covered. Domiciliary treatment cover – In case the treatment is taken at home under doctor’s prescription that can also be covered. Ambulance charges – Emergency ambulance charges can be borne by insurance company. Maternity Charges – Normal and C-section deliveries can also be covered in this policy. Pre and Post Natal Charges – Even these expenses can be covered. New born baby cover – Cover for new born is also available from day 1. No capping – Company can have no maximum expenses capping on treatment of all diseases. Waiting period waiver – 30 days, 1/2/4 year waiting period for treatment of certain illnesses can be waived off in Group Mediclaim. Internal and External Congenital Diseases can also be covered in this. Corporate Buffer – Company can opt for additional Sum Insured which can be utilized by insured in case their original Sum Insured exhausts during policy period. Room rent – Company has the flexibility to select the Room Rent for ICU and room. Pre-existing disease cover – All pre-existing diseases can be covered in Group Mediclaim. Who can take Group Mediclaim Policy? Any organization which has 10 or more employees working in it can opt for a Group Mediclaim plan for its employees and their dependents. What is the Claim Procedure in Group Mediclaim? Emergency Hospitalization – Hospitalization is urgent and not planned. Planned Hospitalization – Patient knows that he is required to undergo a treatment as advised by doctor. The Claim procedure in both the case will vary a little. In case of Emergency Hospitalization following procedure is followed. Patient is admitted in hospital. Patient’s relatives or colleagues will inform hospital about the Group Mediclaim policy cover. Hospital will ask for Health Card and Personal ID proof. Hospital will prepare a Hospitalization form and submit it to Third Party Administrator (TPA). TPA will verify details of Hospitalization Form. TPA will seek clarification on few points if required. TPA will issue an Initial Hospitalization Expenses Approval letter to hospital. At the time of discharge hospital will raise the final bill to TPA. TPA will verify its details and provide Final Approval. Some of the expenses namely Registration Charges, Consumables, Expenses barred as per policy will have to be paid by the patient’s relative. In case of Planned Hospitalization following procedure is followed. Patient will submit Doctor/Hospital’s advice along with Pre-authorization Form to TPA. TPA will verify details and issue Hospitalization Pre-auth letter to client or hospital. How to Claim Reimbursement from Insurance Company? In case customer has not availed Cashless Facility or has incurred Pre and Post hospitalization Expenses then he can ask for its reimbursement from insurance company. Following procedure needs to be followed for it. Patient needs to submit all the bills along with supporting like Doctor’s prescription, Diagnostic Reports, etc and also fill up claim form and submit it with TPA for their assessment and payment. TPA upon due diligence will approve, disapprove or ask queries regarding claim.